That's 5 weeks to save up some money for remedial back massages that you'll need after trying to play one. Haha true but I was planning on picking up a milk crate or 2 and using that instead. Disappointed the Getto style arcades were not on display in my store. 8 pump up spas still on a pallet though. Ideal for a ute I thought or next years Bathurst 1000. The wheel clamps had me thinking too, at $40 odd dollars nearly worth locking on some drunks car. Walking out of the store I looked out the back and there they were, two full pallets of the infamous dwarf getto style arcades. Maybe they just need to be remarketed to kids. (Just not at $500!) They’re pretty much dwarf height right? None at my local Aldi today when doing shopping. I doubt they've sold them all as there was 11 or so there last week. Maybe sent back? Hasnt been as hot as it has been here? . the 3d printers in our local hasnt really sold either. so plenty of arcades and 3d printers. 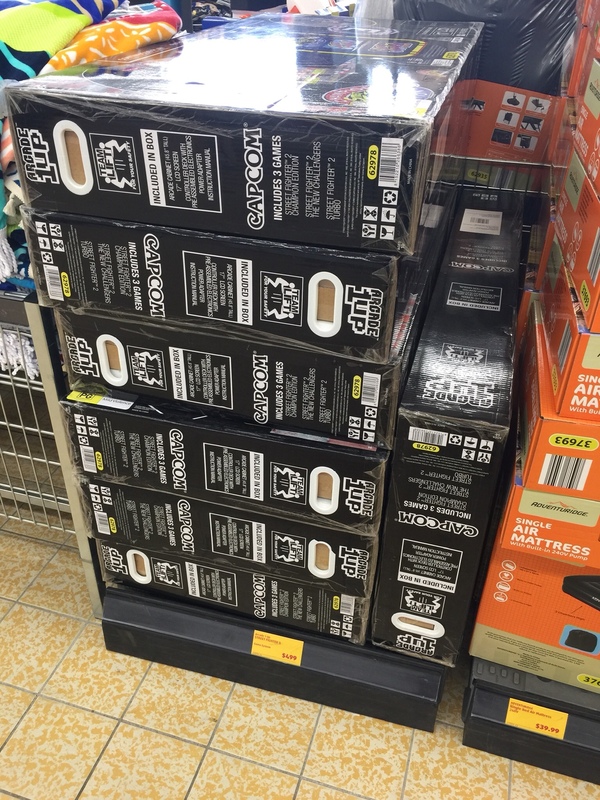 So it turns out my Aldi did still have them in stock. The Rampage one, so I'll be able to tell you what I think in a few months.